We hope you like the layout and colour scheme. Please feel free to explore and navigate the various headings, including the ‘drop down’ menus and Facebook. We welcome your comments, opinions, criticisms etc (via our e-mail address). Constituted / History: Constituted in 1941 from Terenure. The village of Crumlin has had an ecclesiastical presence for many centuries. After the Penal Times the first was built in 1726 as a Chapel of Ease to Rathfarnham. 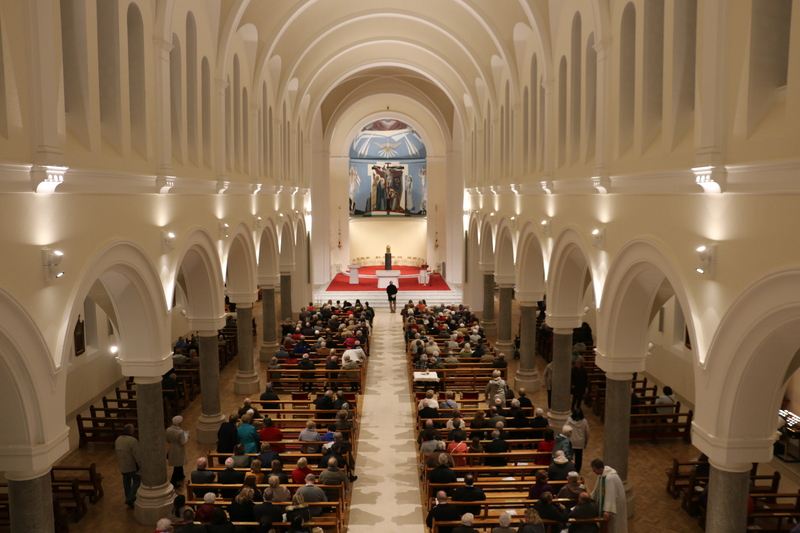 With the growth of housing in Crumlin the present Parish Church was designed in the Hiberno Romanesque style, the main nave was built 1933-35. The Transepts and apse were added in 1942. 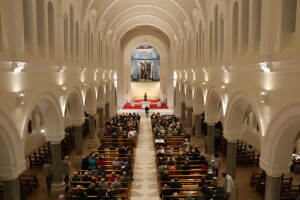 The Sanctuary was re-arranged in 1975. With the exception of the restoration of the Church roof and the refurbishment of the stained glass windows, little work was undertaken in the intervening years. 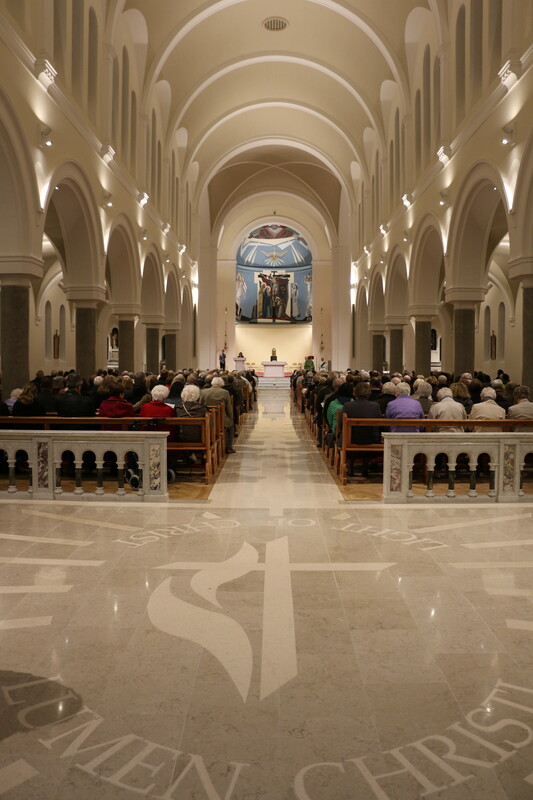 In order to enrich the spiritual experience of the congregation St Agnes Church has undergone a major refurbishment which was completed in October 2013. The result is a wonderful transformation, pleasing to everyone and a tribute to all concerned.